Newington prides itself on providing an educational environment and culture that promotes and celebrates both diversity and inclusion. Although I have just begun my journey here, I can already see evidence of this imbued in conversations, customs, practices and procedures in almost all facets of school life. 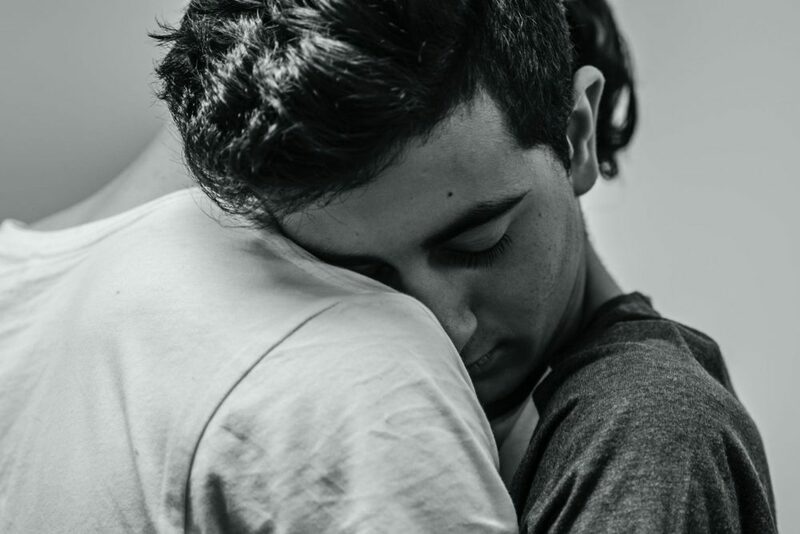 This article is inspired by the notion of diversity and a beautiful series of photos from the Has Potential art exhibition 2015, taken by Fin Thompson (ON 2017). Psychologists, particularly from the field of positive psychology, have long advocated and defended the importance of cultivating positive emotions as a way of improving wellbeing, resilience and enhanced physical health. Not surprisingly, when people are asked what emotions they want to feel, they place importance on wanting to feel predominantly positive emotions. Recent research, however, posits that the choice may be more complicated. Work by psychologists suggests there is a benefit in experiencing a diversity of emotions, both positive and negative. Just as the natural world flourishes through a biodiversity of flora and fauna, this work – termed “emodiversity” – compares the human mind to an internal psychological ecosystem that may profit from experiencing a broad diversity of emotions. This is evidenced in adults who report experiencing a greater diversity of both positive and negative emotions also presenting with fewer symptoms of depression. This is consistent with what has long been expounded about emotions: namely, that emotions serve as a guidepost on the map of human experience, drawing our senses to important indicators in our environments – the warning signs, things that need to be differentiated, altered, managed and understood. Extrapolating further, the emotional ingredients underlying wellbeing might well be more diverse than simply feeling good or positive emotions. Irrespective of whether gender differences in adult behaviour result from conscious or unconscious psychological processes, one thing is clear: boys grow up in a world populated by a narrower range of emotions, one in which their experiences of anger are observed, inferred and possibly even cultured. This renders other emotions, chiefly the more vulnerable emotions as diminished or absent in their developing minds. While this is a concern, research from Harvard Medical School shows that boys are at least equally if not more emotionally expressive than girls. This commences in infancy and continues through early childhood. So, it is plausible that boys might actually begin with a comparable intensity and range of emotional expressions. The corollary is that something is occurring in these early years, when children are the most receptive to messages regarding emotion displays, that might very well have a longer-term impact on their emotional growth. Indeed, a lack of nurturing emotional diversity in children may have long-term consequences. As early as primary school, the avoidance of strong emotions (apart from anger) results in academic underperformance in boys. Psychologists purport that children who block emotional vulnerability are more likely to become adolescents who engage in risk-taking behaviours such as drug and alcohol use. 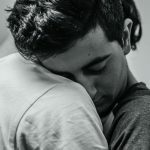 Later in development, men suppress their emotions more than women; and men in turn experience greater depressive symptoms and resort more often to physical violence. Scientists venture that difficulty regulating emotions may explain the link between restricted emotions and aggressive behaviour toward others in men. Given that the skills to regulate emotion are gained through reiteration, which boys may be less likely to possess if they are not permitted to experience the full range of emotions, this outcome appears to be more than likely. As I gaze upon those provocative documentary photos outside my office, I see an affirmation and a constant reminder of the importance of boys being able to experience a diversity of emotions. These works of art inspire me to be less judgemental, accepting and tolerant of the vast range of emotions and emotional states that walk through the office door. Rather than attempt to dismiss them or immediately temper them, I need to be mindful of what they represent, what lies behind them and what they are signalling. They are indeed signposts and they are the kernels of growth and development. 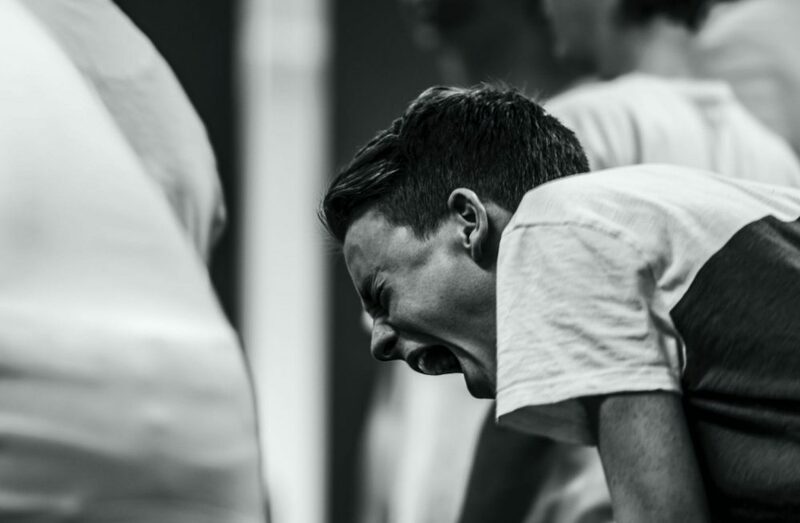 The photos were taken by a Year 10 Photographic Digital Media student, Fin Thompson, who documented the Visual Arts students participating in the Anger and love workshop that preceded the Has Potential exhibition. Fredrickson, B. L. (2000). Cultivating positive emotions to optimize health and well-being. Prevention & Treatment, 3(1). Article ID 1. Tsai, L Perspectives on Psychological Science, vol. 2, 3: pp. 242-259. Sep 1, 2007. Quoidbach, J., Gruber, J., Mikolajczak, M., Kogan, A., Kotsou, I., & Norton, M. I. (2014). Emodiversity and the emotional ecosystem. Journal of Experimental Psychology: General, 143(6), 2057-2066. Weinberg, M. K., Tronick, E. Z., Cohn, J. F., & Olson, K. L. (1999). Gender differences in emotional expressivity and self-regulation during early infancy. Developmental Psychology, 35(1), 175-188. Cohn, A. M., Jakupcak, M., Seibert, L. A., Hildebrandt, T. B., & Zeichner, A. (2010). The role of emotion dysregulation in the association between men’s restrictive emotionality and use of physical aggression. Psychology of Men & Masculinity, 11(1), 53-64.